Based in Banbury, Oxfordshire, Tom Harris has firmly established himself as one of the leading lights in stock car racing. After making the early switch from a fledgling motocross career to short circuit racing, Tom has proven to be one of the fastest drivers in the category. Beginning in Ministox, Tom quickly switched to BriSCA F1 stock cars and began to build and prepare race winning short circuit race cars. Since switching to F1 stock cars in 2010, Tom has won nearly every championship possible in cars he has designed, constructed, prepared and raced. After securing titles in the UK and Holland, including the ultimate accolade of winning the World Final, Tom is now making the transition and is also racing against the world’s best short oval racers in the US. 2015 saw Tom make his debut in the Chili Bowl Midget event, the Super Bowl equivalent of Midget racing and beat Indy Car and NASCAR legends. Look out for further outings in 2015 with details on the news page. 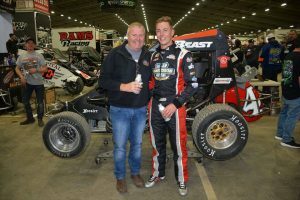 In 2018 after a successful 16th place overall in the Chilli Bowl Nationals Tom has made quite an impression stateside and plans to be racing as much as he can both sides of the pond this year . Tom will be racing both in the midgets and the 410 Winged Sprint Cars!! You can also follow Tom on Twitter @harris84tom and on Instagram. 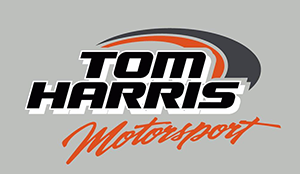 You can also join the Tom Harris Motorsport Group on Facebook for exclusive content and behind the scenes insight. 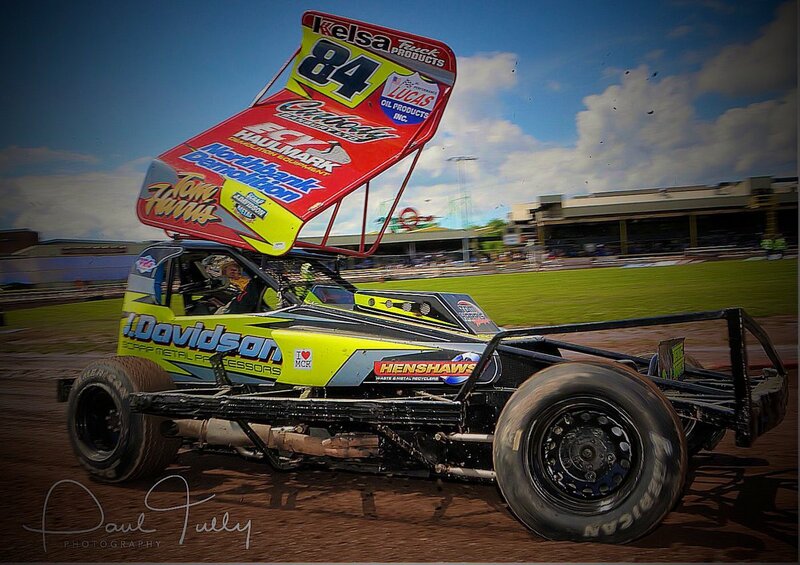 What is a BriSCA F1 stock car? 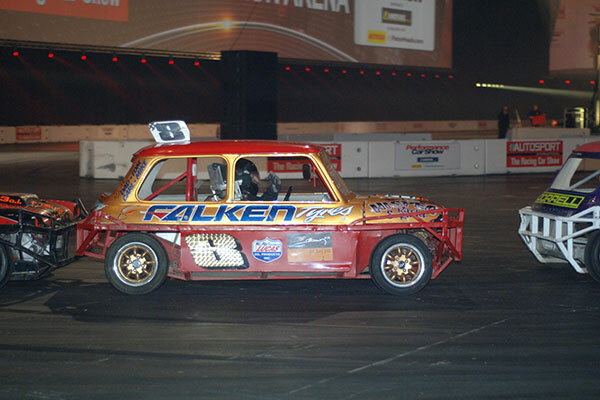 Since the age of 10, Catherine has raced in the full contact formula of BriSCA Ministox. In a 1000cc she helps prepare herself, Catherine has rapidly risen to be amongst the ‘stars’ of the 10-15 year old race category and now proudly runs with the red roof to signify her success. Her success has led to support from organisations such as Falken Tyres and her bright personality, success on track and sheer drive means she is popular with the media and has been the subject of features on the BBC and many motoring magazines. Away from the track, Catherine is a keen sports player and is equally at home working on the farm. 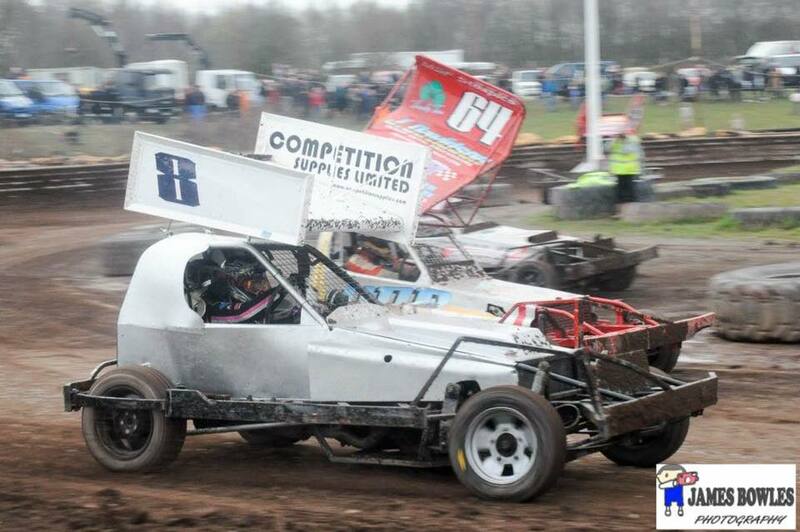 Catherine has recently made the move up to the V8 Hotstox Formula powered Stockers which run on standard road tyres and with 4.2 liter V8 Rover engines a fantastic formula which has been running for over 30 years before the step up to Brisca F1 Stockcars. What is a V8 Hotstox? A V8 Hotstox is a fabricated steel chassis which run on Transit axles and have 4.2 litre V8 Rover engines to power them. 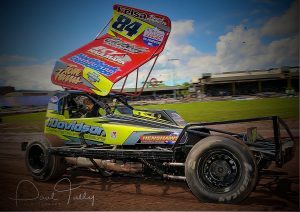 The V8’s have been racing since 1984 proving to be a great formula on a budget for drivers looking to hone their craft before many making the step up from Ministox to Brisca F1. With over 30 cars racing regularly, all over the country, its a great formula to be racing. Past drivers that have raced Hotstox with success includes past and current racers such as Ray Witts, Keith Chambers, Andrew & Stuart Smith Jnr, Mick Rogers, Paul Hines, Phoebe Wainman, Kev Stuchbury, Chris Bracher and many more. What is a BriSCA Ministox? BriSCA Ministox are fully armoured 1000cc Minis using a steel spaceframe. The championship races on tarmac and shale and is open to drivers age 10-15. It offers fast and furious competition with the quickest drivers starting at the back, ensuring lots of overtaking. Competitors who cut their teeth in Ministox and have benefitted from the racecraft it refines include Porsche LMP1 driver Nick Tandy.